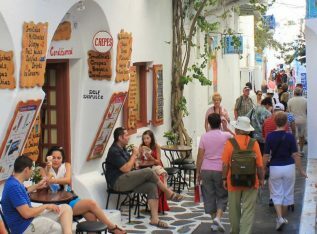 Inbound tourism to Greece in 2018 continued its upward trend in June, marking a 22.3 percent rise in the number of arrivals compared to the same month a year ago, while related revenue grew by 16 percent to 2.3 million euros, according to tentative data released by the Bank of Greece on Tuesday. Revenue hit the 771-million-euro mark in the first half of the year, up by 18.9 percent compared to the first half of 2017 driven by a 19.1 percent increase in incoming traffic and a slight 0.6 percent rise in average spending, or 3 euros. 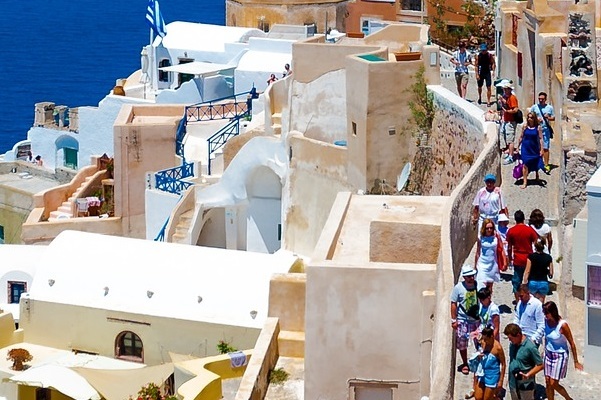 June revenue from non-EU nationals grew by 24.5 percent to 1.69 million euros but declined by 1.9 percent from EU travelers to 583 million euros against 595 million euros in June 2017. Receipts from Germany rose by 23.1 percent to 407 million euros, from France by 19.9 percent to 122 million euros, from the UK by 6.5 percent to 414 million euros and from the US by 10.8 percent to 131 million euros while spending by Russian visitors dropped by 14.9 percent to 63 million euros. Meanwhile, the balance of travel services in the January-June 2018 period showed a surplus of 3.76 million euros compared to a surplus of 3.14 million euros in the corresponding period in 2017, partly due to an 18.9 percent increase in travel receipts generated by stronger (19.1 percent) inbound traffic. Incoming traffic through Greek airports increased by 18.0 percent and by 37.0 percent via road.